20 Facts You Probably Didn't Know About Tirumala Tirupati. 20 Facts You Probably Didn’t Know About Tirumala Tirupati. Who doesn’t know this city in Chittoor District, Andhra Pradesh? Celebrities like Amitabh Bachchan and the likes have visited the temple often. So, what is it that makes this pilgrimage site so special? Let’s see. 1. The Tirumala ranges show the face of Lord Balaji. Natural Arch in the Tirumala Hills is a distinctive geological wonder located 1 km (0.6 mi) North of the temple, near the Chakra Teertham. The Arch is also called Silathoranam in Telugu (“Sila” means ‘rock’ and “thoranam” means a garland strung over a threshold, connecting two vertical columns or an ‘arch’ as in this case). The arch measures 8 m (26.2 ft) in width and 3 m (9.8 ft) in height, and is naturally formed in the quartzites of Cudappah due to natural erosive forces. 2. It is renowned for its exotic Dravidian Architecture. Primarily because its temples have pyramid shaped towers and are constructed of sandstone, soapstone and granite. 3. This place is known for its amazing literacy rate (87.55%). 4. The town is an established center of ‘Vaishnavism’. Around 5th century A.D. was the period during which it was praised by the Alwars. 5. The town is a part of the legendary ‘Ramayana’ text. 6. It is a recognized tourism center in the country. It was awarded the title of “Best Heritage Site” by the Ministry Of Tourism in the year 2012-2013. 7. Its history is glorified by the residence of various kingdoms. The Pallava Kingdom around 9th Century, the Chola Kingdom around 10th Century and the Vijayanagara Empire around 14th century stand testimony to this fact. 8. 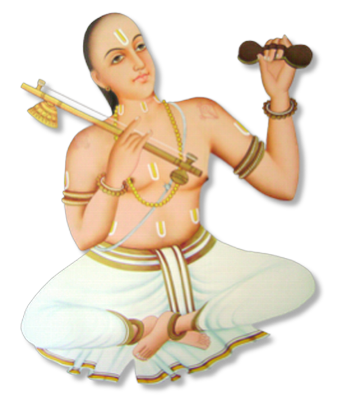 Sri Tallapaka Annamacharya (Andhra Pada Kavita Pitamaha) is said to have sung many songs in praise of this holy town. He compared it to be divine; including the rocks, streams, trees, animals, and added that it is heaven on earth. 9. It has the second largest zoo in Asia. Sri Venkateswara Zoological Park covers an area of 5,532 acres (22 square kilometers). It is said to have been built on the concepts of the Hindu Mythology, and is home to some of the animals that exist in ancient texts like Ramayana and Mahabharata. 10. The flora of Tirupati is undoubtedly rare. With about 1,500 vascular plant species belonging to 174 families, some of the rarest and most endemic plant species like Red Sanders and Cycas Beddomei (only found here!) are found here. 11. The Local National Park is home to some rare birds and animals, and has won accolades from several bio reserves. About 178 species of birds have been identified here, which also includes the globally threatened “Yellow-throated bulbul”, the critically dangered “Oriental white-backed vulture”, Loten’s Sunbird etc. The “Gliding Lizard” and “Golden Gecko” are famous reptiles. 12. It is the home ground of one of the world’s richest Temple Administrations, TTD (Tirumala Tirupati Devasthanam). The major source of its income is Kanuka or Hundi offerings. Besides this, the sale of prasadam, darshan tickets, sale of seva tickets, sale of human hair, and receipts from choultries (places of accommodation) are the other significant sources of income. The gross income of TTD for the current year (2014-15) is estimated to be Rs.2359.2 crores($385.33 mn). So, that is about Rs.6.34 crores($1.036 mn) per day. Whoooaaaa! 13. And the secret village 22 km from the town! Wow. Allows only the residents of that village to enter; and what’s more – it is said that the village has a garden of flowers from where the flowers are fetched and used in the sanctum of Lord Venkateswara Swamy. 14. This ultra cool religious hub has free transport at its feet. The free bus services operated by TTD in Tirumala are known as “Dharma Radhams”. There are 12 such buses that pass through cottages, choultries, temples and other places in Tirumala, at a frequency of every 3 minutes in the prescribed time slots. Ahh, and the nostalgic Ghat Road Buses! 15. Talk of nature’s wonders, and you have Garuda Hill. The Garuda Hill in Tirumala, the abode of Lord Venkateswara, features a natural rock formation that is in the form of Garuda (the eagle). Incidentally, it turns out that Garuda is also the vehicle of Lord Venkateswara. 16. The ever-famous 300-year old “Tirupati Laddu” has a global patent, folks! It got the patent rights under the Geographical Indications of Goods (Registration and Protection) Act; to counter the black market that was developing. 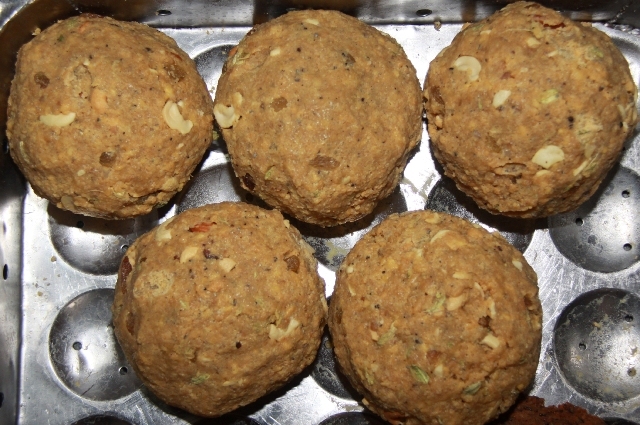 Around 150,000 laddus are made daily. Each laddu weighs around 100gms, and is said to be made by a group of priests called “Archakas” in a special temple kitchen called “poku”. 17. What’s more? Have you ever heard of a place that has an ambulance for distressed animals? NO? Then, maybe, you should get your facts right. Our very own Tirumala has it all. 18. The most-visited place of worship in the world. Visited by about 50,000 to 100,000 pilgrims daily; while on special occasions and festivals like the annual Brahmotsavam, the number of pilgrims shoots up to 500,000 and more, making it the most-visited holy place in the world. 19. Home to “Sri Venkateswara Temple”, one of the world’s richest and famous Vaishnavite temples dedicated to Lord Venkateswara. With the tag of being India’s richest temple (after the Sree Padmanabhaswamy Temple in Thiruvananthapuram, Kerala) of any faith, it is believed to have been around since 300 BC. 20. The city of miracles, it is! Needless to mention, the lights lit in front of the Swamy are said to be lit since thousands of years. Also, it remains a miracle that there is real hair on the main idol of Venkateswara Swamy. The authorities say that this hair never tangles and is silky smooth always.